This sweet corn pudding recipe post was sponsored by Sunshine Sweet Corn as part of an Influencer Activation for Influence Central and all opinions expressed in my post are my own. 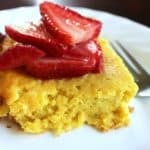 I found this sweet corn pudding with macerated strawberries recipe on the Sunshine Sweet Corn website along with several other sweet corn recipes. 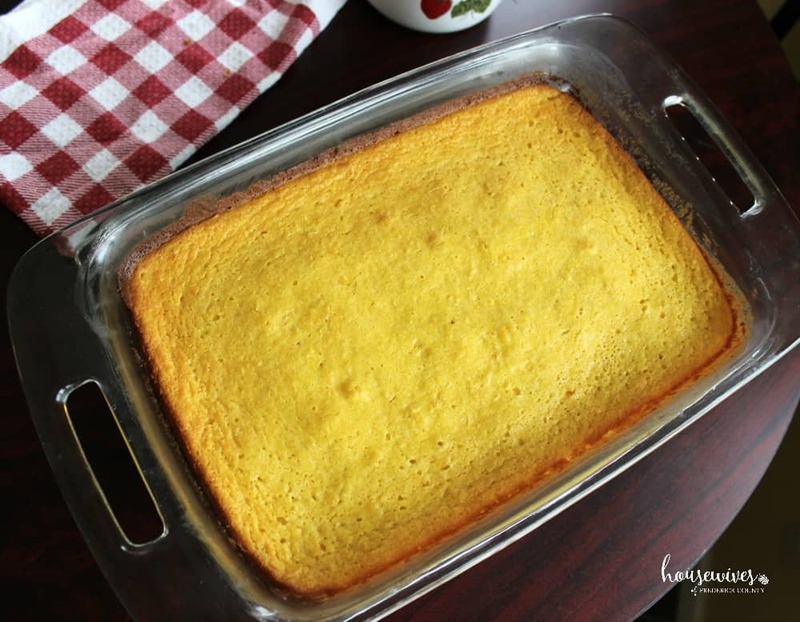 This particular recipe drew me in because my husband and son absolutely love corn pudding. But they’ve never had the combination of corn pudding AND strawberries, so I had to test it out on them. This recipe is an easy dessert to prepare for these beautiful spring days leading into summer. Did you know that Sunshine Sweet Corn grown in Florida has been available since April in local grocery stores? Yup, I didn’t know that until now. I always thought I had to wait until the summer months to enjoy fresh corn. But lo and behold, I walked into the grocery store just the other day and there it was! I’ve always loved any form of corn, so I’m an easy sell when it comes to it’s benefits. But Sunshine Sweet Corn has totally raised the cream-of-the-crop bar. Not only is it your best guarantee for a delicious, sweet tasting corn in April and May, but it’s an easy addition to your spring meals. 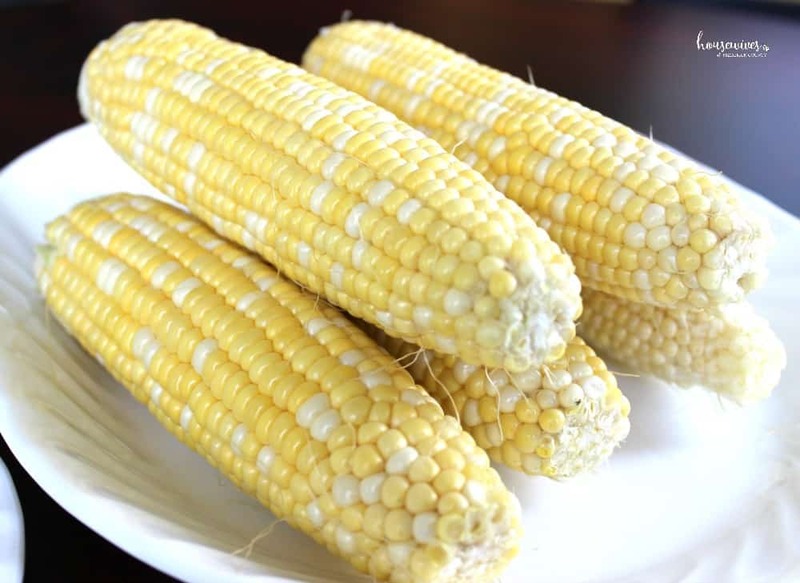 Sunshine Sweet Corn is non-GMO, extra tender, and regulated for quality control. You really can’t get any better than that! 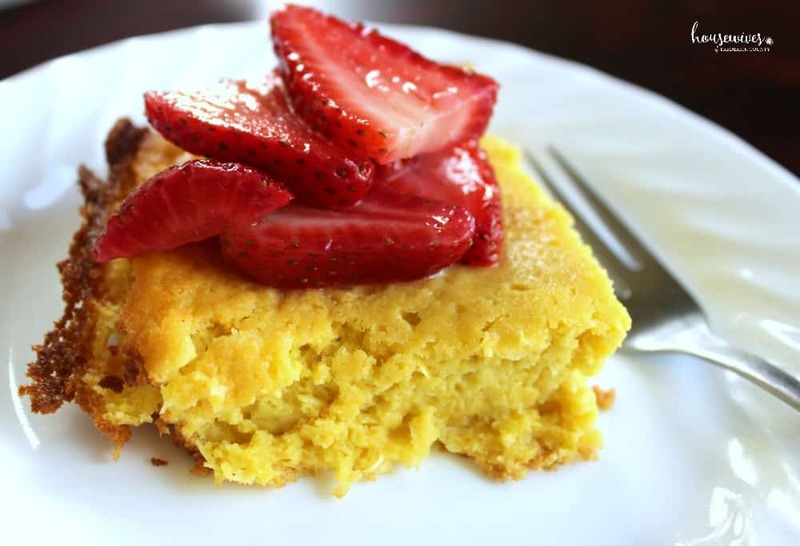 So without further ado, here is the Sweet Corn Pudding with Macerated Strawberries recipe. And to entice you to make it yourself, I included all of the mouth watering pictures I took before eating it. Gotta admit, waiting to eat it so I could take pictures was difficult! Butter a 13 x 19 inch baking pan. Cut kernels from cobs to make about 4 cups; set aside 1 cup. In a large food processor container combine 3 cups of the corn kernels, eggs, cream, sugar, butter, flour, mascarpone, baking powder and salt. Stir in remaining 1 cup corn kernels. Bake until top turns golden brown, 45 to 50 minutes. Serve warm, topped with Macerated Strawberries. 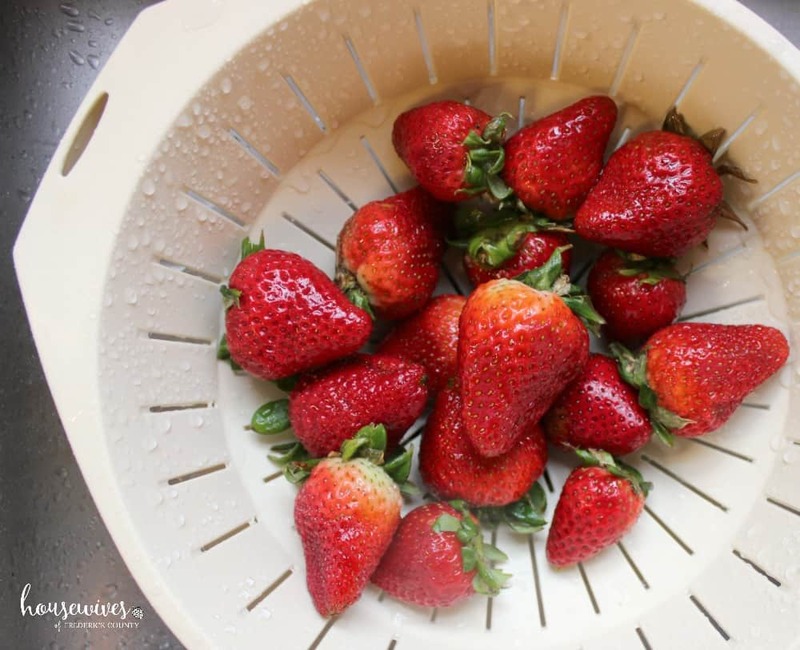 *Slice 1 pound of strawberries and place in a bowl. Sprinkle with 2 tablespoons sugar, cover and set aside for 30 minutes. Refrigerate up to 1 day. The combination of the macerated strawberries with the Sunshine Sweet Corn was exquisite! 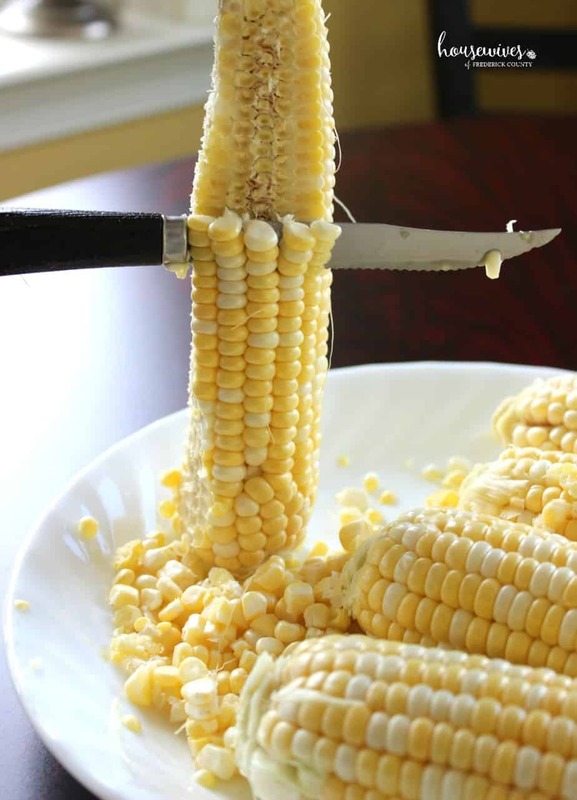 Cutting the corn off the cob is very easy. Just hold the ear of corn vertically, with your hand at the very top of the ear, on a sturdy surface and slice the corn off the cob. I put about a tablespoon of butter in the bottom of the baking pan and used a paper towel to spread it evenly across the bottom and sides of the pan. Take it out when you see that the top is a golden brown color. As you can see from the above picture, the edges were beginning to brown. Perfect time to take out of the oven. I was a little hesitant to add a full tablespoon of salt per the instructions in the recipe. 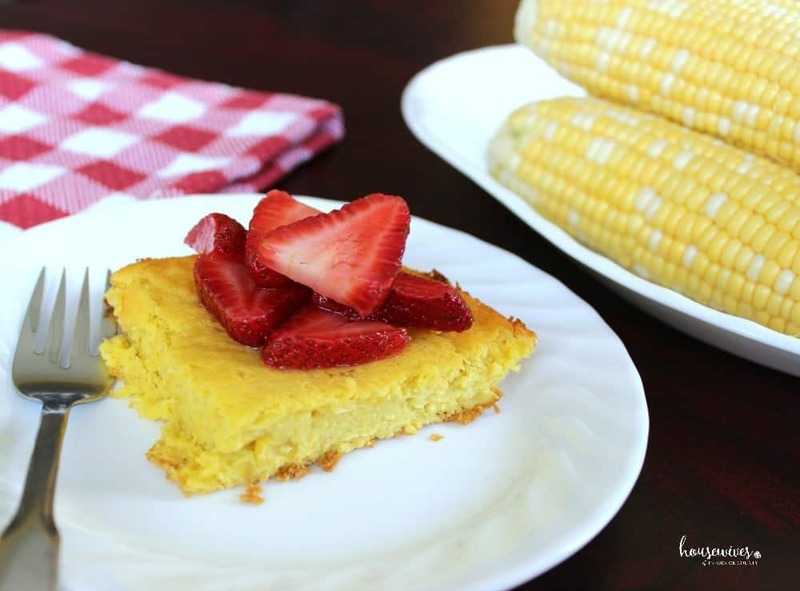 But after trying my first warmed serving of this yummy corn pudding with the macerated strawberries on top, I realized it was the perfect amount of sweet and salty. My husband and son devoured it, which is always an indicator for me to put this recipe, along with other Sunshine Sweet Corn recipes, in the regular recipe rotation. What fresh, sweet corn recipes do you like to make? In the meantime, get out to the grocery store and get you some Sunshine Sweet Corn! Looks really yummy! 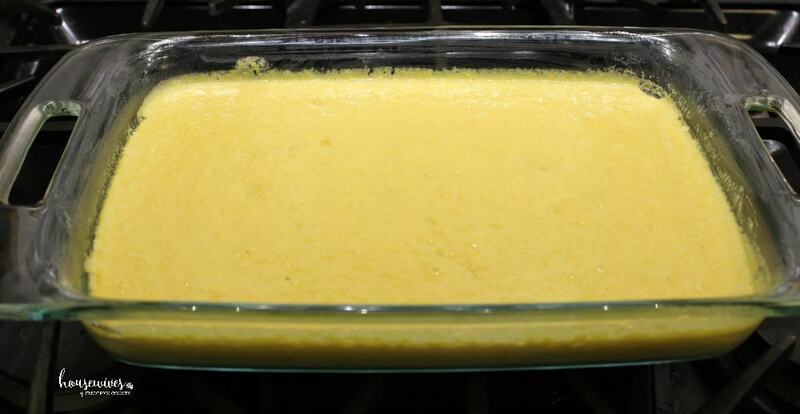 I make a corn pudding every Thanksgiving that is always a hit. Never thought of this version! Can’t wait to try it out!!! Thank you Laura! It really turned out great! I would’ve never thought to add strawberries on top but it was delicious. I’m drooling looking at these pictures!! 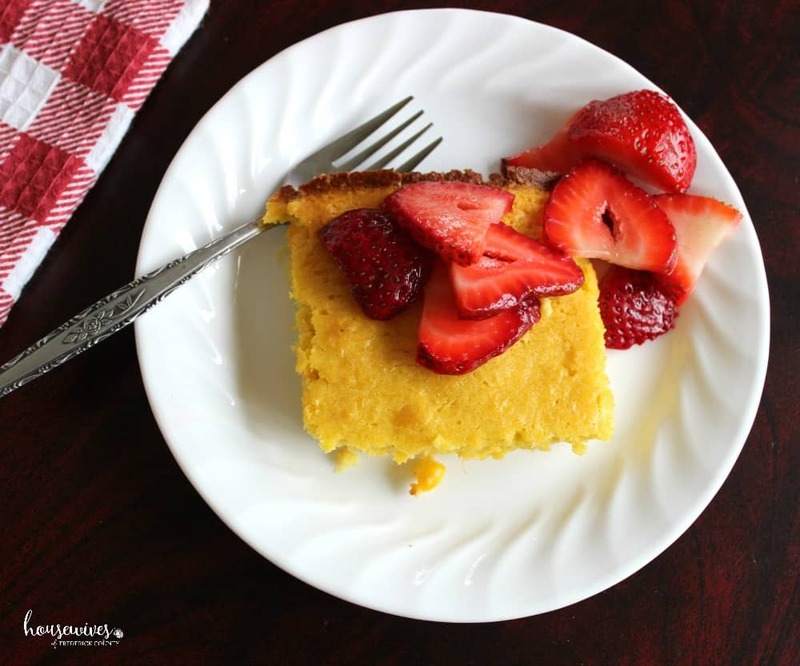 I’ve made corn pudding for years and like Laura said, I would have never thought of topping it with strawberries! I will definitely try it. 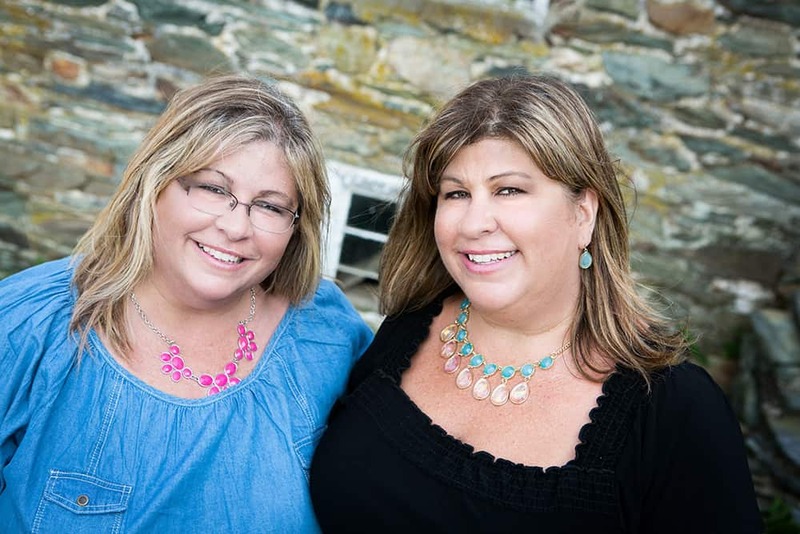 Thank you Pam!!! I hadn’t thought of strawberries with it either. It was really good. Let me know if/when you make it and what you think of it Cheryl.